A proposal from a pro-democratic member of Macau’s Legislative Assembly, who wanted a legislator debate on what he termed the “negative impact” of the increasing number of visitors to the city, was rejected on Wednesday, with only six legislators voting in favour, out of 28. A plenary meeting of the Assembly decided it did not want to debate the topic proposed in late February by Sulu Sou Ka Hou. Chan Chak Mo, a legislator with strong commercial ties to the tourism industry, stated in the chamber before the vote on whether to hold a debate, that the increase in tourist numbers had supported the “significant growth” in Macau’s gross domestic product over the past years. He voted against the debate proposal, claiming that several businesses in Macau could be negatively impacted if any restrictions on inbound tourism were to be introduced. 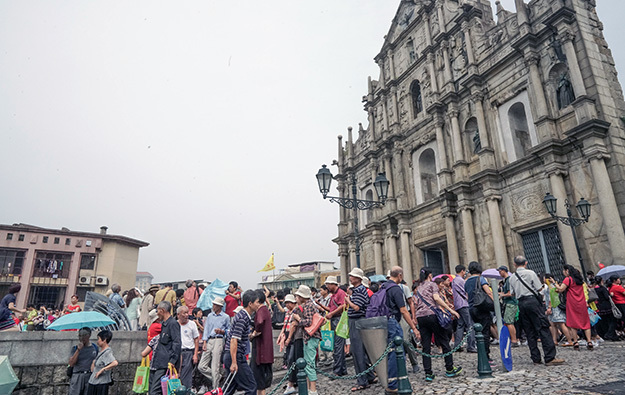 Nonetheless, several members of the assembly admitted that the rapid increase in the number of tourists was a concern regarding what they termed the sustainable development of Macau. But they suggested such concerns could be addressed to the government via other communication channels, without the need to hold a specific debate on the subject. The majority of gamblers in Macau’s casinos are tourists. Investment analysts however have noted in previous commentary on Macau that there need not be a direct correlation between numbers of tourists to Macau and gaming spend in casinos. This is because research indicates that high-stakes play by a relatively small number of visitors is still an important component of the market.